MANILA, Philippines - The long wait is finally over. 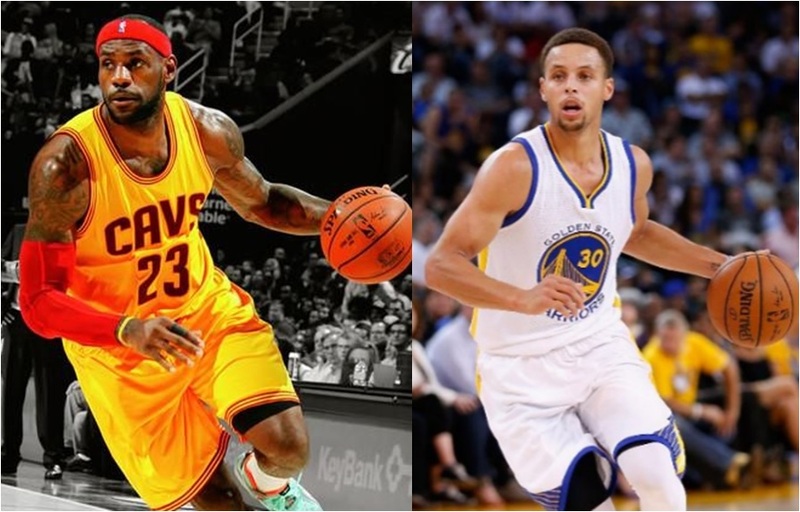 The stage is set for the 2016 NBA Finals. The Golden State Warriors has ended Oklahoma City Thunders’ season by beating them 3-in-row to meet Lebron James and the Cleveland Cavaliers who were patiently waiting for them in the world championship on Tuesday, May 31 (Manila Time). The Cavs had finished the eastern conference finals four days earlier than their western conference rivals by dismantling the Toronto Raptors 4-2. Everybody was really looking forward to the Warriors-Cavaliers rematch of last years finals where the Dub Nation won the title 4-2. After a year of preparation, things have changed massively for both teams. The Warriors have intensified their core group while the Cavaliers will be playing on a very healthy line-up. During the regular season, both squads have faced each other twice. But those games favored heavily on coach Steve Kerr and his gang. There hasn’t been so much movement on Golden State’s roster. Anderson Varejao, the newest warrior and the only addition to the team, was released by the Cavs in February this year and will be competing against his former team this time. On the other hand, Cleveland made a drastic change by firing its ex-head coach David Blatt and promoted his assistant, Tyronn Lue to take over his place. Along with Lue, is Channing Frye who was acquired by Cavs from Orlando Magic will be bannering the revamped Cavs. Both the Warriors and the Cavs have reached the finals once again well prepared. Golden State set an unbelievable NBA record of 73 wins and 9 losses surpassing the 1996 Chicago Bulls team led by Michael Jordan while Cleveland made a record as well for winning 10 straight games in the playoffs before falling to Toronto in games number 3 and 4. If basing on the win - loss record, obviously, the Warriors have the edge. But basing on the momentum, the Cavaliers have a slight advantage. Physically, Cleveland has the freshest legs over the Warriors who had fought hard and made an amazing comeback win against the Thunders in seven games. In addition, Stephen Curry had a mild injury during the early rounds of this year’s playoffs. There’s a big possibility for him to aggravate his injury due to fatigue. It manifested during their 3 consecutive losses against the Thunders. Good thing that Klay Thompson stepped up big time especially in game number 6 to save the Dub Nation from losing their title too early. Last year’s postseason was a horror for Cleveland where two of their key players were forced take rest due to injuries. Kevin Love had to undergo a surgery on his shoulder when Kevin Olynyk accidentally pulled it during the 1st round followed by their star point guard Kyrie Irving who untimingly busted his knee cap on the finals game 1 against the Warriors. The Warriors will be facing a very different Cleveland Cavaliers this time. Different from last year’s finals and different from the regular season as well. The addition of Channing Frye and Richard Jefferson had given the Cavs more threats from the 3-point territory that can match the shooting prowess of the Warriors plus a complete and very healthy line-up. Julius Erving has mentioned in an ESPN radio interview that the Cleveland Cavaliers are really looking sharp in the playoffs and a very dangerous team compared to the Cavs who have played during the regular season. Lebron James, after winning the eastern conference championship, added another achievement under his belt. He’s now the only non-Boston Celtics player who has been in the finals for 6 consecutive times. Technically, he’s not the only player who has this record, consider his all-time sidekick James Jones. They both reached their first finals appearance together since they were in Miami until at this very present moment. It will be too difficult to give a prediction on who’s going to win the title. But this will more likely favor the Cavaliers in game 6. Simply because of their healthy roster and exceptional playoff demeanor. But the Warriors can’t be simply counted out. If there’s a team in the NBA that can bounce back from 3 games to 1 or even 3 games to none, that would be them. Aside from the winning experience of Coach Steve Kerr, championship pride will also be factor for them to fight until the final buzzer sounds. The 2016 NBA finals will start on June 3, Friday (Manila Time) at the Oracle Arena - Warriors home court at 9:00am. It will be aired live on Basketball TV for cable TV and on ABS-CBN Channel 2 and ABS-CBN Sports and Action Channel for free TV.